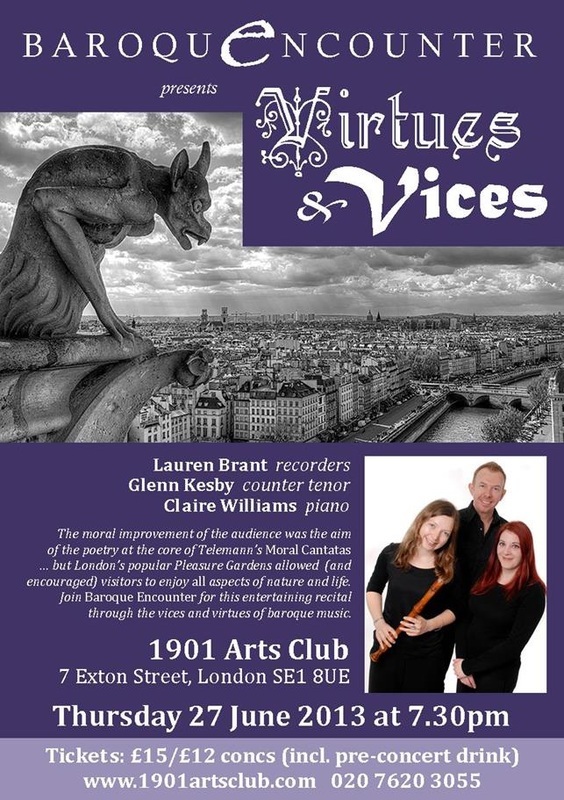 A recital inspired by the Moral Cantatas of Telemann mixed with music from London’s Pleasure Gardens. The moral improvement of the audience was the aim of the poetry at the core of Telemann’s Moral Cantatas but London's popular Pleasure Gardens allowed (and encouraged) their visitors to enjoy all aspects of nature and life – even the seedier side. "Among so many musical bonbons, Telemann's cantatas offered something rather more substantial but even the earnestness of Kesby's coloratura couldn't obscure the tongue-in-cheek morality of works that exhort us to drink, gamble and worse, so long as we do so in moderation." See the attached PDF document for the full review of this programme as printed in The New Statesman.